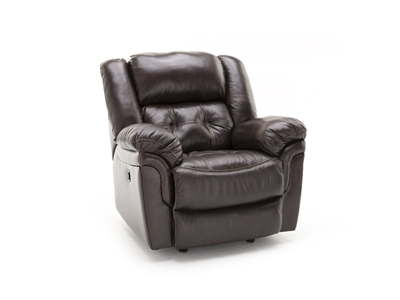 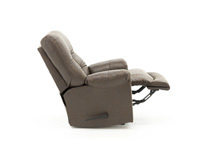 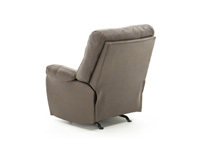 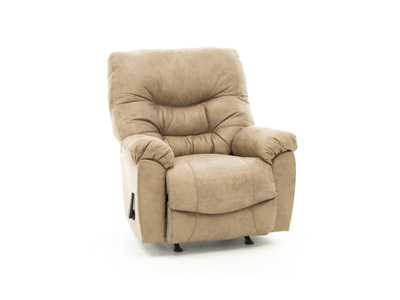 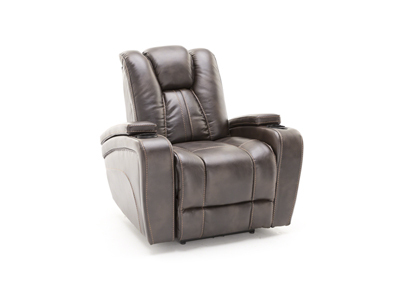 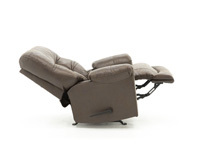 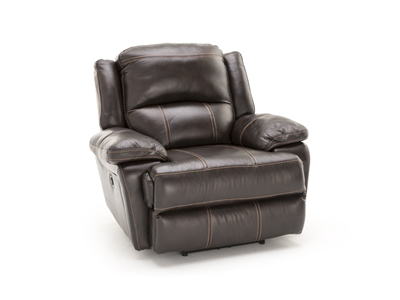 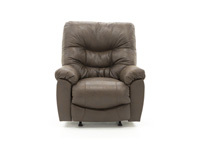 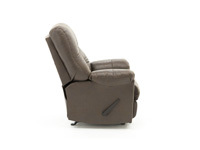 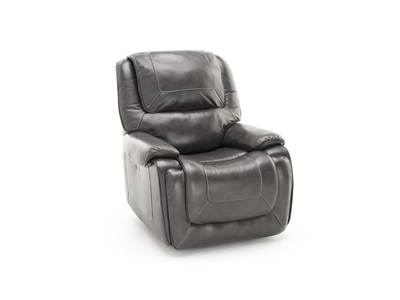 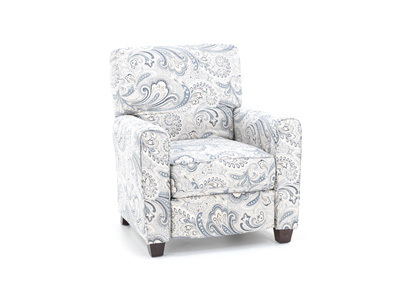 The Trilogy recliner is a large in scale contemporary chaise rocker recliner with a catcher’s mitt back that suspends the body into a cradle like position. The combination of this back and chaise pad feature the ultimate in sink into comfort. 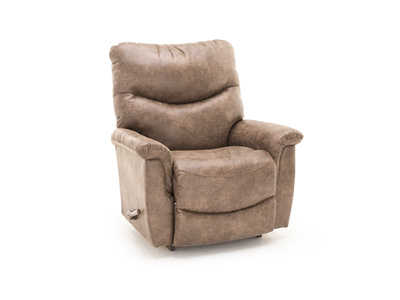 The Trilogy is upholstered in a weathered faux skin in two rich colors, mink as shown or in camel.